Naturally aged/fermented PUER TEA from Yunnan Province, China. Puer (or sometimes shown as Pu’erh, is pronounced poo-err) tea is lessor known than other classifications like black or green, but is rapidly gaining popularity due to it's famously woodsy and earthy flavor. 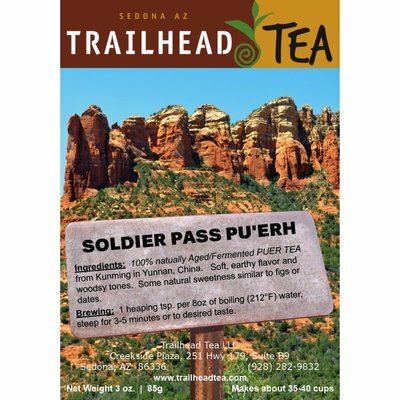 The tea is aged in a process that allows the leaves to continue fermenting/oxidizing, and potentially improving over time. 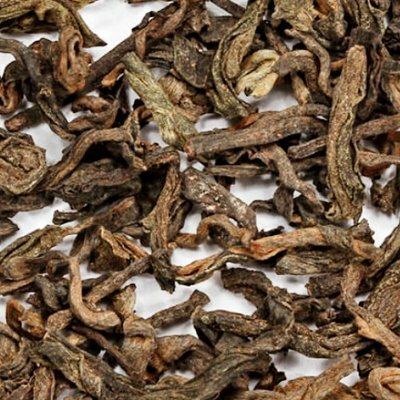 This allows brewing many infusions of smooth, deep, rich, and refreshing cups with no bitterness or astringency, even if intentionally over brewed. If puer were a beer, it would be considered a stout. 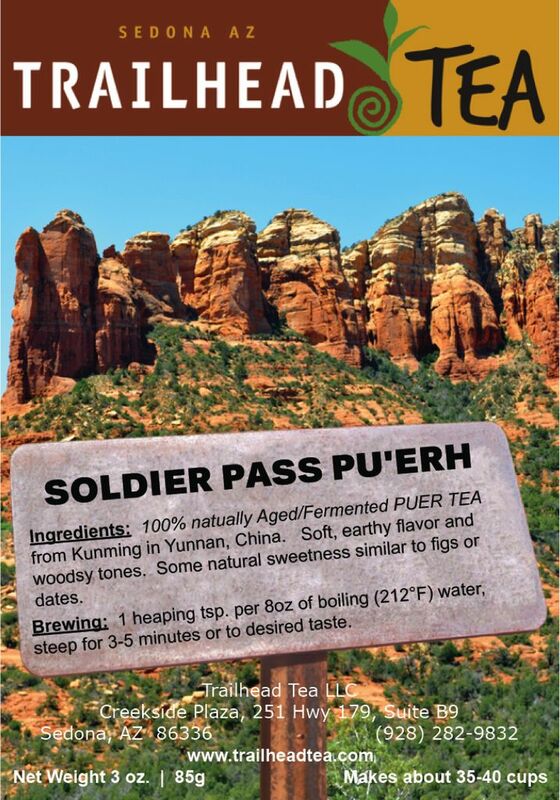 Soldier Pass Puer is a shou (cooked or ripe) variety, verses a sheng (uncooked or raw). Taste and aroma creates images of a damp forest canopy of leaves, earthy minerality, dried mushrooms, leather, slight sweetness of figs or dates, and a mellow creamy flavor. Dark & rich earthy flavor and woodsy tones. 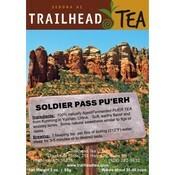 BREWING: A full Teaspoon (about 4-5 g) for every 6-8 oz of boiling 212°F fresh water. Steep for 1-2 minutes or longer to desired taste. Up to ten infusions are possible by increasing steep time 30-seconds to one minute each time.